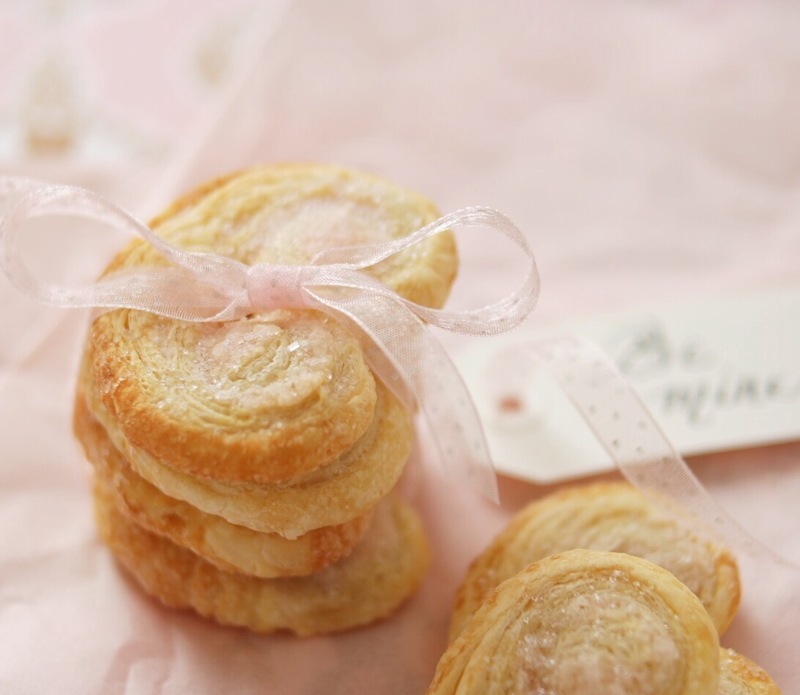 Crisp, delicate French palmier cookies, also known as elephant ears, are the perfect ladylike pastries to enjoy with hot cocoa, tea or coffee. There’s certainly no shortage of palmier recipes out there, but if you’re in the mood for simplicity, this is the recipe for you! 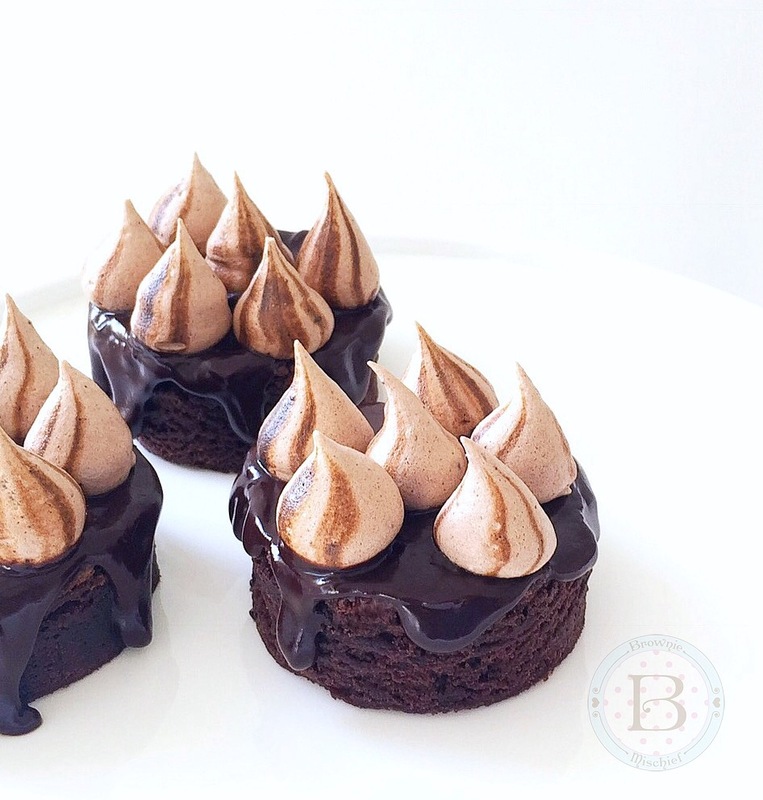 This version is very easy to make and only requires two ingredients. Puff pastry dough and sparkling sugar, that’s it! Pretty stress-free, right? 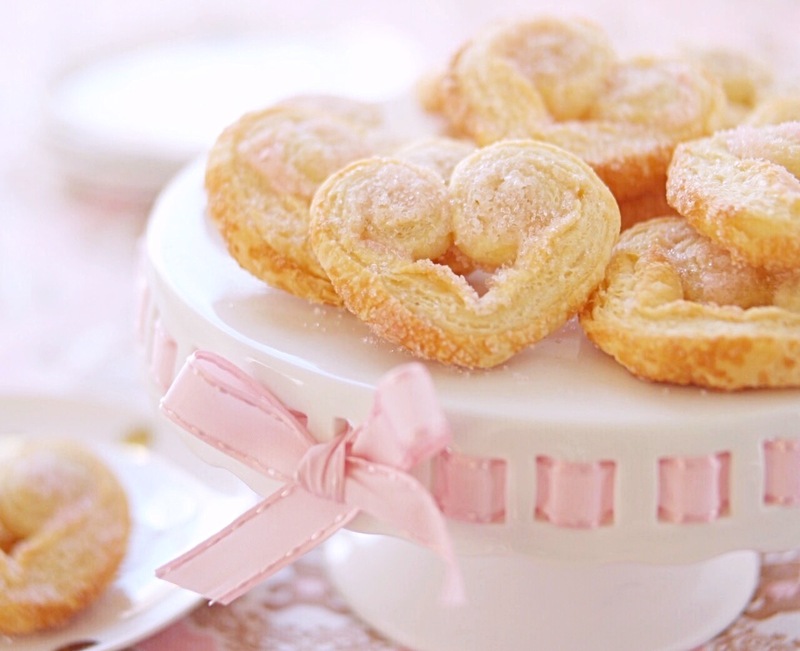 Since Valentine’s Day is coming soon, I formed the palmiers into hearts, rather than the traditional palm shape. 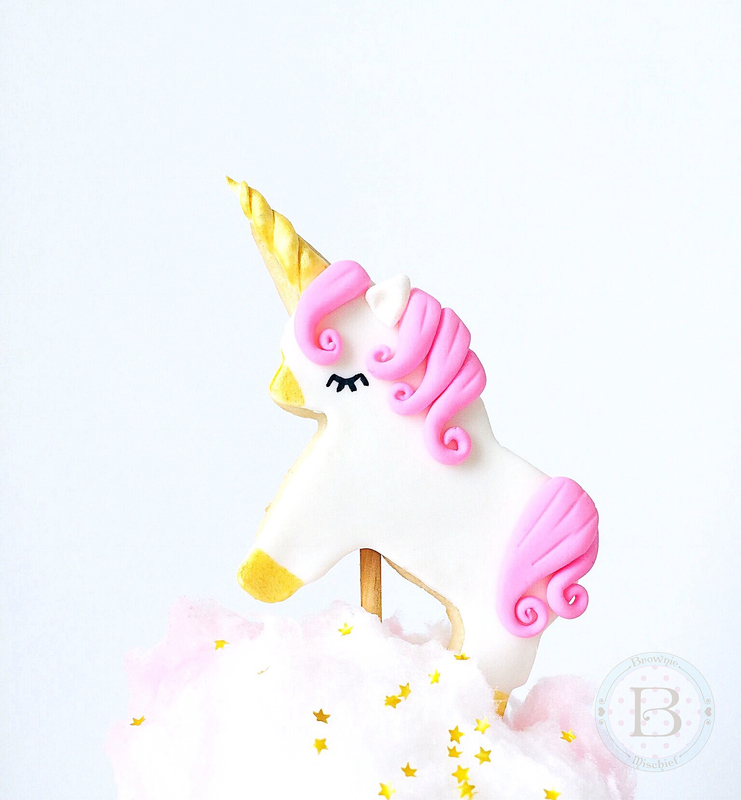 I used some pale pink sparkling sugar that I had on hand, but feel free to use any color you like. 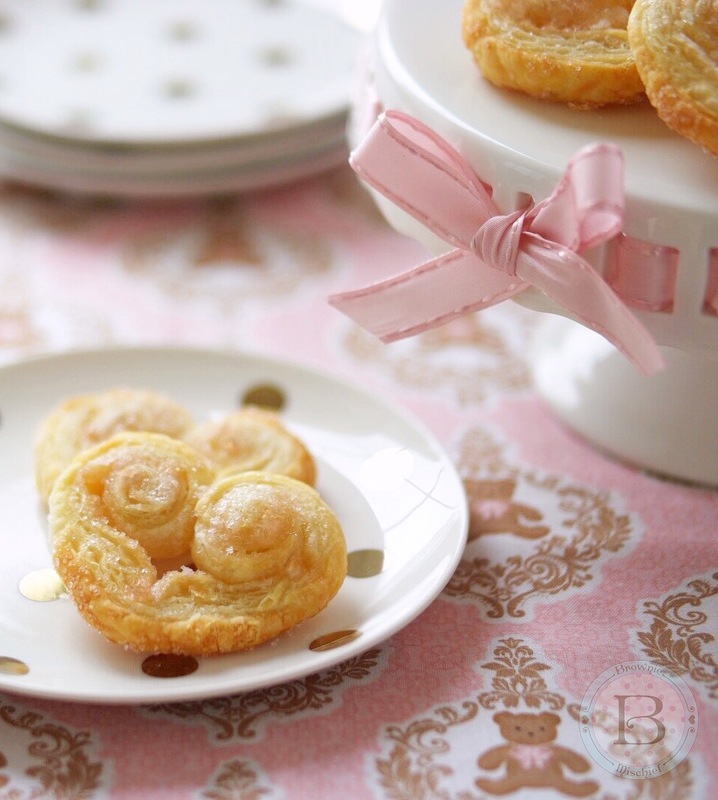 These palmier cookies are as delicious as they are lovely. 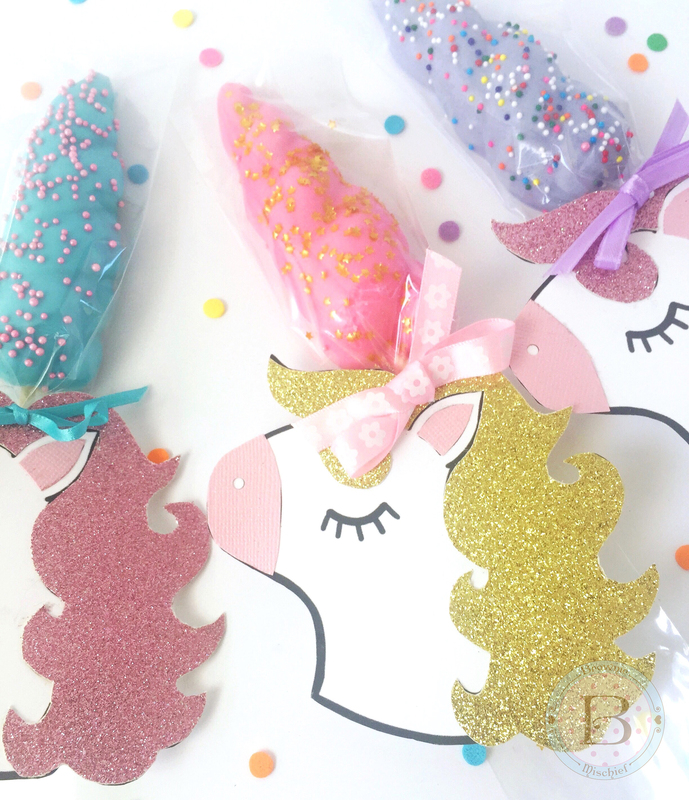 Wouldn’t they be the perfect addition to a bridal or baby shower sweets table? I also envision them as a simple, but elegant Valentine’s Day breakfast or a sweet, homemade Valentine’s Day gift wrapped in tissue paper and ribbon. Most people love receiving sweet treats, I know I do! (Hint…hint…Hubby if you’re reading this!) I hope this simple recipe provides you with a bit of inspiration. I’ll be sharing more heart-shaped inspiration in the days ahead, so stop by again soon! Sweet, crisp, flaky puff pastry cookies. Sprinkle 2 tablespoons of sparkling sugar on your work surface. 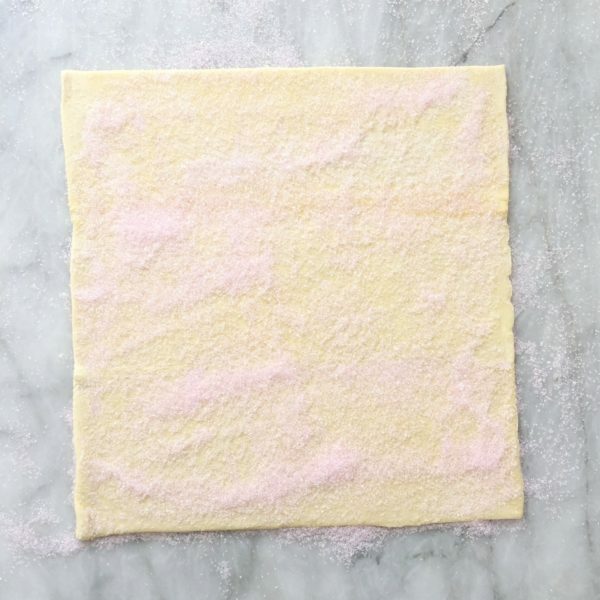 Place 1 puff pastry sheet on the sugared surface. Sprinkle evenly with 2 tablespoons of sparkling sugar. 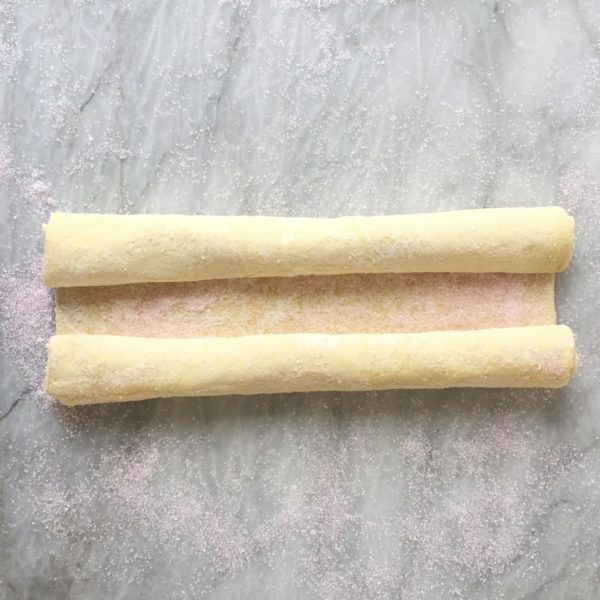 Roll gently with a rolling pin, pressing sugar into the dough. Roll the short ends of the puff pastry sheet in towards the center, jelly roll style, leaving a 1-inch gap in the center. Repeat steps with the remaining puff pastry sheet. 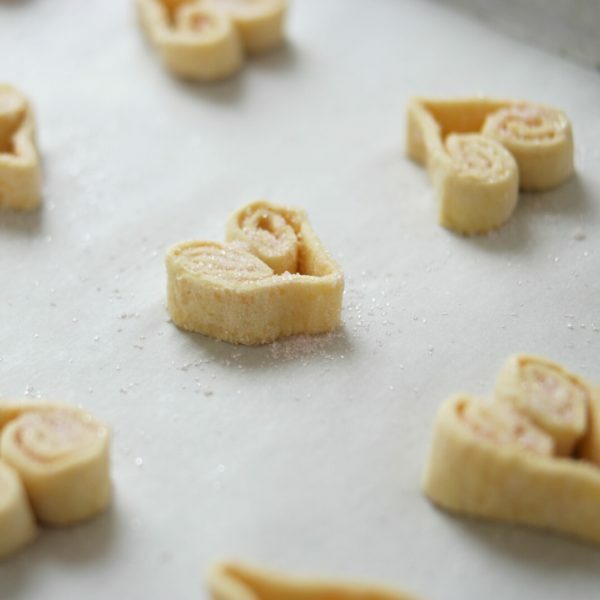 Transfer puff pastry rolls to a tray. Cover with plastic wrap and chill in the refrigerator for 30 minutes. Slice each roll into 1/2-inch slices. Place the slices 2 inches apart onto the prepared baking sheets, cut side down, forming into heart shapes. Sprinkle any remaining sparkling sugar over the hearts. Bake until 15-17 minutes, until golden brown. Remove to wire racks to cool before serving. Palmiers are best served the day they are made. Store in an airtight container for up to a few days.